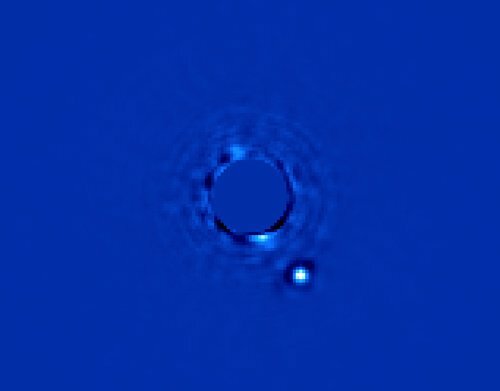 Earth-based exoplanet hunter, the Gemini Planet Imager, has released the results of its first observation run, a direct image of Beta Pictoris b. The first-release images were taken in November, the culmination of a decade's worth of planning and engineering. Its aim is to add direct observations of exoplanets – worlds beyond our Solar System – to the indirect observation techniques used by instruments like the Kepler Space Telescope. Its builders – an international consortium that put together the instrument at the Gemini Southern Telescope in Chile – say the high-contrast telescope offers ten times better performance than its predecessors. In this release, Bruce Macintosh of the Lawrence Livermore National Laboratory (and leader of the build team) says “In one minute, we are seeing planets that used to take us an hour to detect”. GPI is an infrared detector, making it suitable to spot “young Jupiter-like planets in wide orbits around other stars”, the GPI team states, and because it's taking direct observations (rather than spotting planets as they orbit their stars, occluding their light), it should allow scientists to study things that Kepler can't detect, such as the composition of the planet. 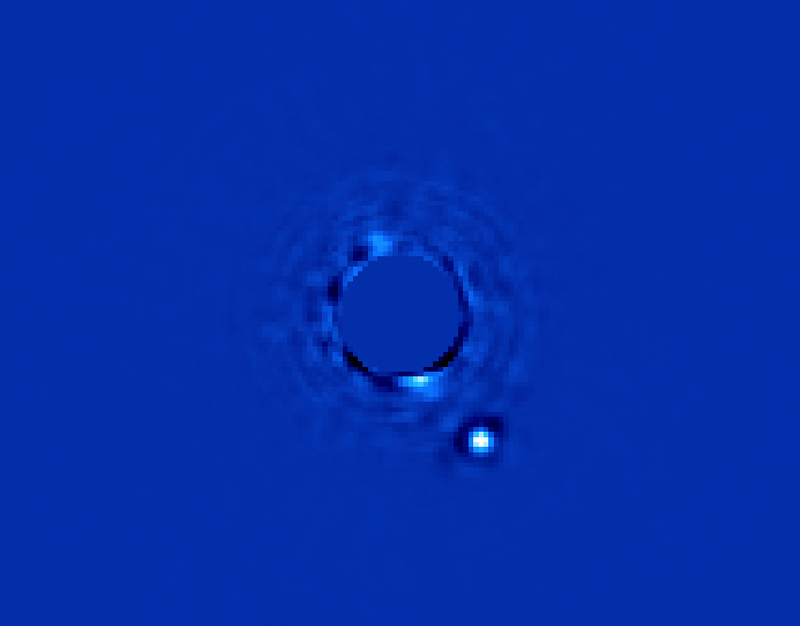 Beta Pictoris b, captured by the Gemini Planet Imager. The star is occluded to make the planet visible. The instrument consists of a high-order adaptive optics system, a coronagraph (to block the light of the star so that the planet can be observed), a calibration interferometer, and an integral field spectrograph. In the case of Beta Pictoris b, the operators say they were able to capture their target in one minute, and with further calibration, that performance should improve further.